London: The introduction of thousands of Ebola treatment beds by the British and Sierra Leone governments and NGOs prevented an estimated 57,000 Ebola cases and 40,000 deaths in Sierra Leone up to February 2015, new research has found. But introducing the beds just one month earlier may have halved the outbreak, the researchers noted. 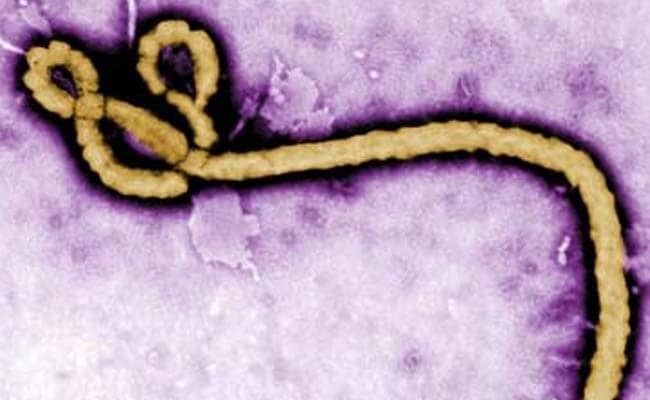 There have been 13,945 reported cases of Ebola in Sierra Leone to date with an estimated 70 percent of infections resulting in death during 2014 , the World Health Organisation stated. With many cases in Sierra Leone potentially going unreported, the real figure is likely to be much higher, the study said. "Our findings show the unprecedented local and international response led to a substantial decline in Ebola transmission," said lead author Adam Kucharski, lecturer in infectious disease epidemiology at the London School of Hygiene & Tropical Medicine. "Given the rapid growth of the outbreak in Sierra Leone, if those beds had not been in place to isolate the ill and avert further infections, the epidemic could have been much worse," Kucharski noted. Between September 2014 and February 2015, more than 1,500 treatment beds were introduced in Ebola holding centres and community care centres, and a further 1,200 in Ebola treatment units, to support the overstretched health system in Sierra Leone. Using mathematical models, researchers estimated the potential impact additional treatment beds had in bringing about the decline of the Ebola outbreak. They separated out the effect of beds from other factors that reduced transmission, such as behaviour change, community engagement, improved case finding and increase in safe burials. Taking into account both reported and presumed unreported cases, the researchers said 57,000 Ebola cases were prevented up to February 2015 as a direct result of the introduction of treatment beds. Given that the Ebola case fatality rate in Sierra Leone was near 70 percent, the researchers estimate this averted 40,000 deaths.